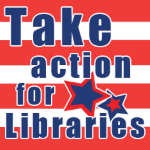 Take Action for Libraries – Real People Real Dollars 2018! Everyone should be aware of the negative impacts of Governor Cuomo’s cuts to library aid. Real People. Real Dollars is an effort to increase awareness of just how much libraries can help their community members, and how much people can save by using the library. We’re calling on our patrons to participate in the 2018 Real People. Real Dollars. campaign. Investing in libraries has a big return on investment for the communities they serve, help us tell that story in pictures as we prepare for Library Advocacy Day on February 28! Real People. Real Dollars. 5 EASY steps! Step 2: Download the sign and write the calculated value on a Real People. Real Dollars. (RPRD) poster. Download a poster here. Step 3: Take a photo with your RPRD poster. An example can be seen in the instruction sheet here. ***Don’t forget to use a photo release form! A sample is linked here. Step 4: Post the photo to your Facebook page, Twitter, Instagram using the hashtags #NYLALAD18 #LibrariesAreEducation. Tag STLS (@sotierlibsys). Tell your story your relationship with your library in your caption. Be sure to tag Cuba Library (@Cubacirculatinglibrary on instagram, @cubalibrary on twitter and facebook) in your post so that we can see and share your story. Step 5: Reach out to your legislators. 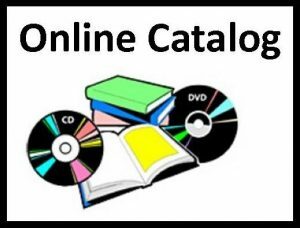 Contact information and more can be found on the STLS Advocacy Resources page.